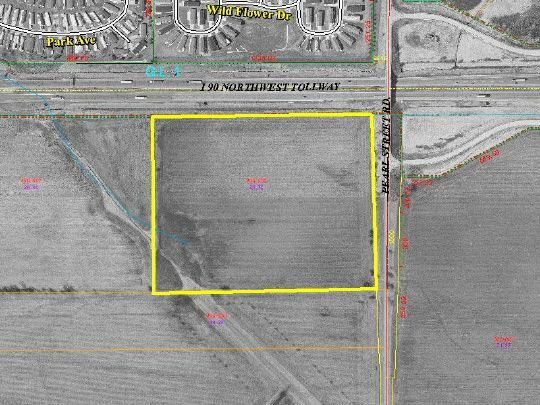 PROPERTY IS LOCATED AT PEARL ST AND I-90 WITH OVER 900 FEET OF HIGHWAY FRONTAGE. PROPERTY HAS BEEN INCLUDED IN THE BOONE COUNTY COMPREHENSIVE PLAN AS "CORPORATE CENTER," MAKING WAY FOR OFFICE-ORIENTED MIXED-USE, RETAIL, ENTERTAINMENT, ETC. BROKER INTEREST.